“Nikolaos Koutras is BA in political science (2001-2005, University of Greece, 71.8%). He obtained moreover a diploma in Postgraduate course in Financial Crisis and its Perspectives (2006-2007) and in Educational Governance and Lifelong Learning (both obtained at National and Kapodistrian University of Athens, resp. 86% and 82%). He is also M.Sc. of Information (2008-2010, Ionian University, Korfu, 88%). Moreover he is PhD in Political Science (2014, Ionian University, 100%). In 2017 he obtained his PhD in law at the Macquarie University (Sydney, Australia) with a dissertation on “Open Access Repositories: Designing an appropriate regulatory framework by balancing the interests of copyright owners and end-users”. He obtained several scholarships. During his studies he performed several administrative tasks. Moreover, he was a research assistant for a project on intellectual property law at the Ionian University (2013-2014) and for a project on consumer law at the Monash University, Melbourne (2014-2015). 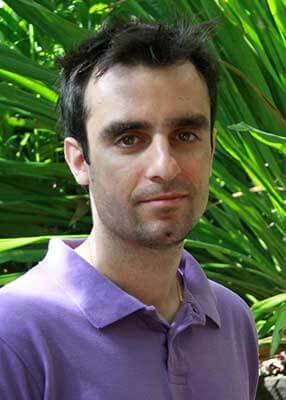 Since June 2014 he is PhD research fellow at the Macquarie University. He is (co-)author of at least 24 scientific publications. He actively participated in several national and international scientific conferences and colloquia. This candidate shows his expertise in his expertise in copyright law and governance, knowledge governance and more specifically in open access and open science, in both his application form and during the interview. The international and interdisciplinary character of his academic profile makes him a more suited candidate than the second and third ranked candidates for obtaining national, European and/or international research funds. The research of this candidate corresponds well to the research strands set out by the Government and Law research group, especially Multilevel good governance and Governance and public decision-making. Open access and open science are, moreover, research themes that may attract research funds or may be of importance for (consultancy) projects for policy-makers on different levels.